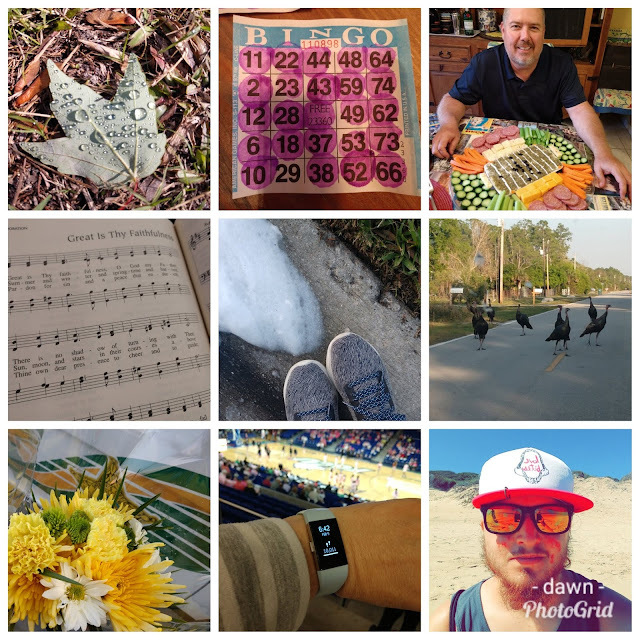 I thought it might need to be a second "short" version week... but it turned out that I had captured just enough fun this week! 1. Saturday we had a 2-for-1 walk. couldn't help ourselves... we traveled safari road for a short add-on. This leaf just caught my eye... after the rain. 2. Bingo at the brewery. I love/hate it. I don't ever win, but I get SO CLOSE! 3. Did you have SUPER SuperBowl snacks? Our friend outdid himself! 4. Great is my Faithfulness. We are getting back into our Sunday routine and I have need it! 5. A walk around our block...snow?! I'm sure it's just bubbles. It's been cool here, but certainly never cool enough for snow! 8. A couple of laps around the arena before the game started got me where I needed to be! is always a GREAT way to begin my day. I think he looks happy! And now... I'm off to the zoo!